W hen a democracy can’t be called a democracy, or its definition must be changed to fit current circumstances, then its probably time to rethink our approach! Democracy comes from an old Greek word that literally translates as “People Power” (they were the brains behind the basis of the whole Democratic system). Athens had about 250,000 residents at the time and all citizens had an open invitation to a regular forum which allowed them to have direct input on all issues relating to their society, that is: they did not go via representatives like we do today. Our current system is more like an oligarchy than a democracy. Not everything was perfect about their system (women and children were not considered citizens and you needed to have TIME to go to these meetings which often meant those more well off were more likely to be involved), but it was the truest form of democracy humans have had in all recorded history. Now such a system was just not possible when the constitutions of countries like America and Australia were set up. The land masses in which citizen lived were enormous, populations vastly larger, there were no means of communication like telephones, televisions, radios and there was certainly no internet! 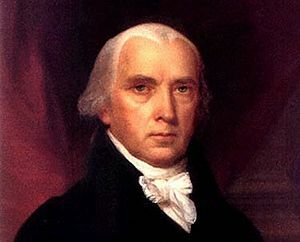 So there were lots of very sound reasons why James Madison and other US political thinkers of the time came up with the fair system of representation that Australia drew inspiration from and that we still have in place today. But guess what people…times have changed! We now have instantaneous communication with mobile phones and SMS, we have web infrastructure that allows for the calculation of information in mere nanoseconds and can be supported to withstand millions of visitors performing activities at the exact same time. 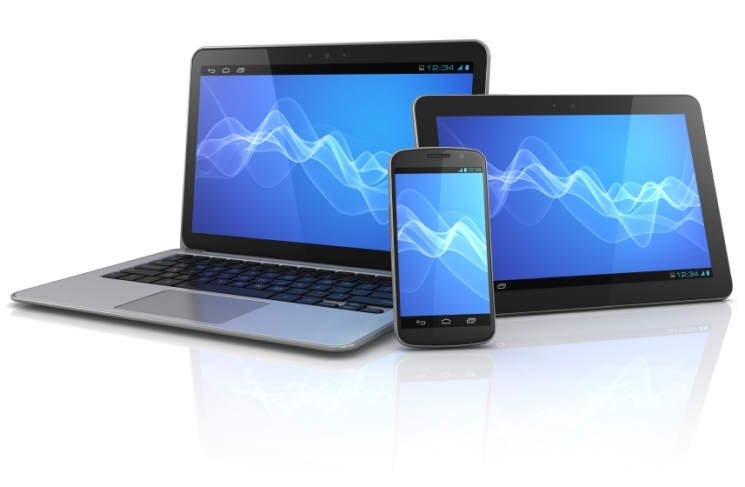 In fact, 88% of Australians have access to the Internet and use it regularly. Back during the Howard Government days, this still wouldn’t have been possible, but it is all technically possible today. So here we are with all this new fandangle technology, but we’re still plodding off to the polls. In the intervening 100+ years, no one’s thought to re-evaluate the system based on new capabilities. 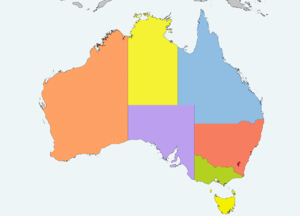 Is there a fair and economical way that each Australian could get an actual say in the policies and workings of government? Is there a way that we could bring back power to the people and end political apathy in this country? I believe the answer is YES, and there has never been a better time to make these changes because we have the technological capability to do it. Of course, our representatives won’t give up their power so easily so I believe a new political party would need to be formed to push for governance with the knowledge that the first thing they would change is the constitution and ultimately dismantle their own representative rule over time. Below are a list of concepts that would underpin the proposed new democratic framework in Australia (and these same concepts could work for any society where democracy already exists and internet penetration is higher than 80%). The Upper House (the Senate), would become the Peoples Representative House – which has representatives from each electorate. The Lower House, would become known as the Knowledge & Wisdom house – in which each representative Minister is an expert in administration, policy and the area of their portfolio (e.g the Minster of Health must have prior direct administrative experience in the health industry). Psychologically it makes more sense that the UPPER house, who are generally the reviewers, are representatives of the people, while it is the Australian people themselves (through voluntary policy voting) and portfolio experts who define the policies themselves. The Upper and Lower house most speak and interact much more regularly and freely than they currently do. An overarching third body would be created that can hold the government accountable for its actions. This would replace the role of the Governor General and Queen who have only ever intervened once), it is important that the role is more than symbolic. In matters where the will of the people will impinge on the human rights of those locally or in another country, this overarching third body has the right to intervene. An independent body called the Council for Science, Well-Being, Economics, Psychology (COSWEP) provides support services to the government in power and the Opposition. If the Opposition strongly oppose a bill through The Peoples Representative House or the Knowledge & Wisdom House, they can request review from the council. If the council deems their point of view valid, their concerns must be addressed by a new joint policy, which both parties work jointly on and then it goes back for final vote to the people. The role of the Prime Minister will be split into two. The Prime Speaker will be the leader of the House of Peoples Representatives, and they will be the prime speaker for and on behalf of the people of Australia, including being Australia’s delegate internationally. The Prime Minister will be the leader of the House of Knowledge and Wisdom and will be responsible for organizing all Ministers in the creation of sound policies and pulling together information to inform policy based on the will of the Australian people through policy votes. They will also be responsible for ensuring there is cohesiveness in parliament between the two houses. There are no PHYSICAL sides in parliament. A mix of ministers (those in power and those in opposition) will sit together. For freedom of information, all incumbent government data and pricing or economics models driving policy must be made freely available to the Opposition and to the public. The Opposition is not necessarily a party, but a group of minster by minster opposition, there to provide alternative policies to the incumbent government, and to question existing policies: not to be roadblocks but to play devils advocate to the government and the Australian people. 1. Councils and senate electorates are aligned, so instead of 150 electorates and 564 councils, there are simply 250 Councils. The responsibilities of councils remain the same, but they work directly with ministerial electorates and because of this new alignment, enjoy much better communication and speed of necessary change. This will also increase the size of the House of Peoples Representatives. 2. State government in its current (constitutionally separate form) is dissolved because we assume that people’s new power to vote on individual policies will ensure that the states are properly represented without the need for a separate government. This will also ensure much better alignment and billions is administrative savings. 3. Instead, there will be a state based minister for every portfolio. The federal government is then responsible for the creation of policies that were formerly state based activities (e.g. health and education), but the state based representatives are responsible for state level input into the plans and for the implementation of those plans. 4. Voting for Council, State, House of Knowledge & Wisdom and House of Peoples Representatives all happen at the same time (or at least within the same month), to ensure best alignment of the values of the people. Voting in the House of Knowledge and Wisdom is for a MINISTER, not for a political party. This means we no longer have situations where people without knowledge of the area are chosen simply because they have been working in party politics for a long time. Political parties may present a list of all ministers, but they must go through a process to verify those chosen ministers have the required experience in order to run for that house. However, there are no special skill requirements to run for election into the House of Peoples Representatives. 1. Online voting is made available for all citizens. Citizenship kiosks are also set up in places where few people have the internet. 2. Votes can be cast online over the period of 1 week, however home based voting lasts for 6 days which ensures that if the internet is not working on the final day (where there would be a rush), those people have the opportunity to attend a kiosk based voting booth. Voting online will provide 500k vision impaired Australians the right to a private vote, something they have not enjoyed to date. 3. Before voting, every Australian must spend 30-40 minutes reading about the ministerial candidates (this is the time it takes for most Australians to go to the voting both today any way so this time is simply being re-appropriated to their education instead). They can also complete a survey based on personal values and wants – system will suggest candidates and political parties based on these. Parties may not provide “how to vote” cards. 4. In online voting, candidates will be randomly presented in each different voting session to prevent effects of donkey voting and rogue “how to vote” cards. – Voting individuals in to the House of Knowledge and Wisdom. People can choose OPTIONAL PREFERENCING both “above” (to parties) or “below” the line. 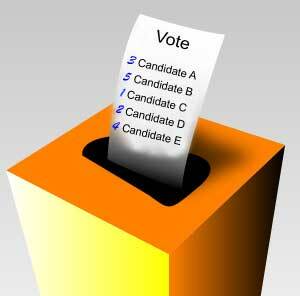 – Voting for a Prime Minster and Prime Speaker candidates. People can nominate any number of minsters (in preference) for those roles. The top 5 candidates are presented to the representatives who ultimately win the HoR and Senate seats and those people then vote on the nominated candidates in their own preference. This is how the Prime Minister and Prime Speaker are chosen. 1. 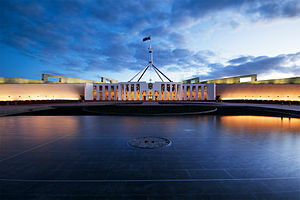 All Australians are provided with and opportunity to take part in parliament policy. The government subsidizes up to $35 per hour up to 2 days per year (16 hours) for any registered voter who engages in the voluntary system. This would cost approximately $3billion dollars per annum; a small price to pay for true democracy (in comparison, our welfare system alone costs $316 billion). 4. Portfolio ministers must request policy submissions from citizens once a year – all citizens can be notified when these are being asked for, orthey can switch all off except those that are related to their field of expertise. This ensures citizen input into a yearly planning process. 5. Yearly policies are then pulled together by: Knowledge & Wisdom Ministers, groups of experts, citizen panels and citizen reps (each citizen can apply to be selected for types of panels and will be selected representatively and randomly by geography but no person can be selected more than once in 5 years). Separately opposition ministers come up with other alternative policies, they become the “red team”, who don’t see policies until they’re done and can help point out any holes or provide alternatives to fill gaps. – A full version of the policy which die-hard participators can suggest amendments to on the fly. – An easy to understand video will be created for each policy so anyone can understand proposed changes in 5 mins. ($10m allocated for 200 a year to these type of communication materials). 7. Each voluntary policy voter must read the material and prove understanding by answering quiz questions on the policy before voting on the proposed policy. They are also able to input amendments. 9. Votes are auto-recorded and amendments are mass-analysed by computer to find common themes for further investigation. Once the policy has been reviewed and updated based on amendments from all parties, it goes to all party Minsters and People Reps to take the final vote. 11. If a House of Peoples Representatives Senator vote does not match the people they represent, a mandatory vote will may be asked for from people of that area whom the senate leader represents. If the senate rep fails to match the people in their area 3-5 times, the people can request a re-election for the minister in that area. If the Senator defaults 10 times, an automatic re-election for that Senator is called. 12. For smaller, minor legislation changes – only those affected (based on their demographic info) will be automatically invited for input or vote. Others can always provide amendments but not votes. If they contest this and wish to vote and there is more than 0.5% of the population (or 100-200k requests), the vote is opened up to those requestors. 13. For policies where people whose lives may be affected can not be properly represented, their carers may vote on their behalf and/or Not for Profit organizations may be able to provide some voting power as true representatives of that sub community. 14. A separate committee is required to assess and report back on the outcomes of each legislation every year. In addition to this, an Annual Happiness Survey is also conducted for all voluntary policy voters. This report is then provided by email to each and every citizen. 15. Ministers positions can be reviewed officially on a yearly basis (post release of the above report). The people can request an inquiry into any minister at that yearly review. Enough votes will get the minister reviewed and then a new candidate must be chosen in a by-election. i.e individual ministers can be voted OUT of office by the people if the Australian people deem them to be failing in their role. 16. People can also request direct challenges, audits or inquiries into any capitalist institution, which, if there is significant interest (e.g. 5% or more of voluntary voters), the government must carry out. This participatory form of government will, for the most part, be an automated system, which sends out invitations when a Minister uploads and publishes a policy document and then automatically aggregates results for review. There would need to be rules around the release (e.g. it may need to be released on a Tuesday afternoon (which is the most likely time Australians will open emails). 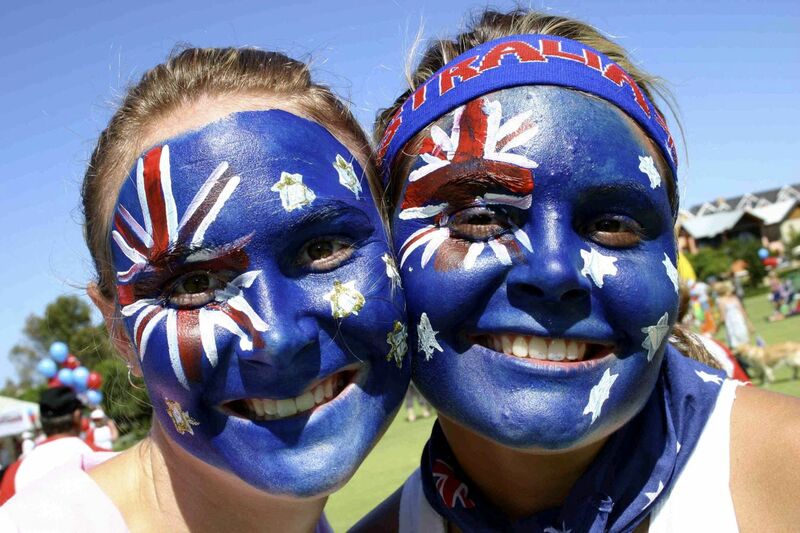 Mandatory citizenship education must be provided for all Australians between years 3 to 12. This must have practical elements that empower them to begin their involvement as early as practicable. Young children from 10 and older get a say: particularly in decisions that will affect their future (like protection of the environment…etc). Their vote does not count toward wins, but it is recorded, reported on and it allows young people to appreciate and participate in the system from an early age if the choose. It also provides government ministers with a strong sense of the thoughts of young people and how to cater for them as they enter into official voting age. All politicians elected are required to complete a mandatory 3 month intensive course prior to a parliament role: history, citizenship, law, leadership, media training and parliament etiquette and day to day operations. 1. Before registering as a new party, the party must have a website and a clearly defined policy on every portfolio area available for view for all members. Only after that, will 500 members be counted and then party can apply to be accepted as a registered party. 2. Once the party is accepted, to run in an election, they must complete mandatory political skills training. This training must be completed 1 month prior to the election date or they will be disqualified from running in the election. 3. All party policies must be in place and online (same for all minister plans) 4 weeks before the 5-year election date. Each policy must be LOCKED IN during the election period. Which means, once the election campaign begins, the party may not change their stance unless it is to match what another political party is already providing. They may not remove an item already on their priority list. 1. Elections move from 3 years to 5 years (as individual ministers can be voted out on a yearly basis after a review). 2. Elections are called at exact same time every five years: Feb – 2 month campaigning (Feb and mar) last week of March is election. Then April, May and June, all new politicians are getting up to speed. Incumbents work with any new ministers to hand over and provide insight so there is a much smoother handover of work and responsibility. The last month is to provide intensive training for any new politicians. Obviously this is all blue sky stuff…but its also all possible right now. What do YOU think? Which bits do you agree or disagree with? And which bits are most important?